Our traditional clinics will now run in the Summer for 8 clinics. Material will run similar to previous years with some light instructions; games and activities will be included as well. Registration for golf clinics at the Golf Club. 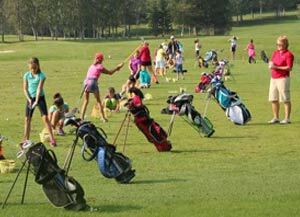 New junior golf camps gives boost to youth participation. 2019 Junior Camps. More information coming soon.